We have only one copy of most of them so you can preorder them now. The Cluster of garnet crystals (up to 0.6 cm). 3.7 cm. Bor quarry, Dalnegorsk, Primorsky Krai, Far East. Find 2018. Minerals of the Southern Urals (Russian). By Sergei V. Kolisnichenko, Vladimir A. Popov, Sergei G. Epanchintsev, and Alexey M. Kuznetsov. 415 photos. Format: 21 x 15 cm. 416 pages. Published by Sanarka Ltd, 2017. 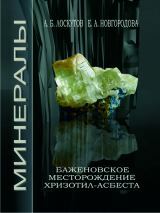 The new edition of the book “All Minerals of the Southern Urals” was published in format which more convenient and easy to use during field mineral collecting. It is devoted to the minerals and localities of the Chelyabinsk region, which occupies a quarter of the entire Ural Range - and about a thousand mineral species and their varieties are known here. 1200 photos and maps. Format: 25 x 28.5 cm. 480 pages. Published by Christian Weise Verlag in 2018. 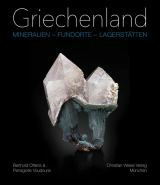 Most comprehensive review of Greece minerals, their localities and deposits. About 1,800 photos of minerals, sites, historical labels. Format: 24 x 28 cm. 664 pages. Published by Bode Verlag, Germany in October, 2018. The first volume from the new four-volume "Edition Sachsenschätze". It is a milestone in the history of Saxon mineralogy in every respect. It is the standard work that will find its place next to the "Klockmann", next to the "Strunz" and "Rösler" in every library of a mineral collector or scientist. Read the exciting stories and events surrounding the discoveries and first descriptions of the Saxon minerals, to many errors and misconceptions. Follow the often complicated and interesting paths that a mineral determination has gone through for centuries. Some of the information turns out to be inaccurate, but sometimes dragging through the literature for a long time. In other cases, there are different interpretations of what should be regarded as the original description and thus also as type locality. 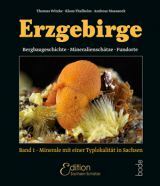 This unique compendium now presents all type minerals found in Saxony for the first time. Format: 24.5 x 34 cm. 144 pages. Published in 2004. This full colored book devotes to mineral resources of the Ural Range (called the Stone Belt of Russia), which stretches over two thousand kilometers along the border between Europe and Asia. This coffe table book illustrates the history of the study and the mining of mineral treasures of the region from ancient times to the present day on the example of the exposition of the Ural Geological Museum. 550 photos. Format: 21 x 29.7 cm. 224 pages. Book devoted discoveries that attracts attention of collectors of the world. By Alexey B. Loskutov and Elena A. Novgorodova. 570 photos and 3D color schemes of the veins and sections. Format: 24.5 x 34 cm. 340 pages. Published by the authors in 2013. 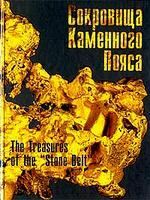 The book is devoted to the minerals of the rodingite of one of the most famous deposits of the Middle Urals. 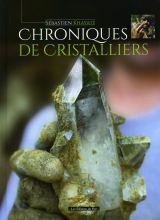 It consists of 14 chapters, in which the varieties of grossular, vesuvianite, brucite, diopside and other minerals of the deposit is comprehensive presented. Published by amateur collectors on the basis of their study and observation for thirty years. Highly recommended! 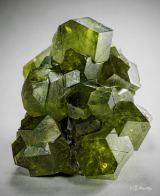 This collection of classic minerals from the Bazhenovskoye deposit (Middle Ural) which is one of the classical localities in Russia, consists of twelve minerals specimens - pyrite, vesuvianite, stilbite, brucite, datolite, apophyllite, grossular, calcite, clinochlore, diopside - glued onto a plastic table. 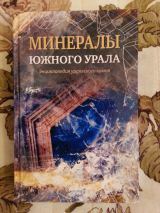 Special price (only 20 USd) with buying special issue devoted Mineralogy of Rodingites of the Bazhenovskoe Deposit //Mineralogical Almanac, volume 22, issue 3, 2017. Large sphere (20 cm), skarn from Vorontsovskoye deposit, North Urals, Sverdlovsk Region, Russia. Sphere (13 cm), realgar-bearing breccia from the Vorontsovskoye deposit, North Urals, Sverdlovsk Region, Russia. Sphere (13 cm), porphyrite from the Kaliskaya mine, Severouralsk Bauxite Mine (SUBR), Severouralsk, North Urals, Sverdlovsk Region, Russia. Sphere (13 cm), granate with chlorite rock from the Severopeschanskaya Mine, Krasnoturinsk, North Urals, Sverdlovsk Region, Russia. Sphere (13 cm), pyrite with chalcopyrite from the Turinskie Copper Mines, Krasnoturinsk, North Urals, Sverdlovsk Region, Russia. Large sphere (20 cm), fluorite from Transbaikalia, Russia. Pyrrhotite with galena, sphalerite, quartz and calcite on the matrix. with lamellar galena crystals (1.5 cm), with sphalerite, quartz and calcite on the rock. The Cluster of garnet crystals (up to 0.6 cm). 2.25 cm.